Qantas and Emirates conjecture. Why has Qatar Airways slipped off the radar? Everyone loves a little will they, won’t they situation, and a ripper is brewing in Australia right now with talk of a Qantas-Emirates partnership. But why has Qatar Airways slipped off the radar? 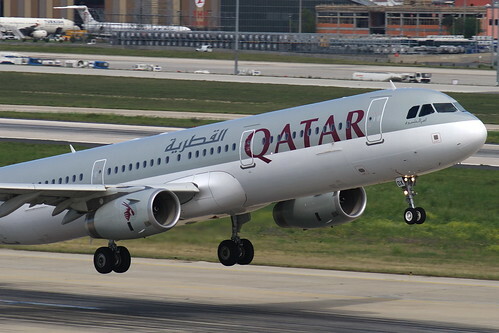 In Perth in early July, Qatar Airways CEO Akbar al-Baker confirmed the carrier was in talks with Qantas. Though as focus shifted to the fruits of an Emirates partnership, forgotten were the benefits a relationship with Qatar could bring. Buoyed by the Emirates speculation Qantas’ dismally low share price gained 10%, and the rhetoric regarding all the potential benefits flowed. But, as Ben Sandilands noted “Emirates doesn’t actually need Qantas for anything it can’t do in its own right, including set up its own domestic entity in Australia if it ever felt so inclined”. Qantas operates 28 services to Europe, assuming the unlikely event they cut Frankfurt (or move it to Berlin), 48 to Singapore, and only 7 to Bangkok, and 3 to Jakarta. By March next year, Emirates will operate 84 weekly services to 5 Australian cities, most direct, and 28 via Bangkok, Singapore or Kuala Lumpur, and onward connections to 32 cities in Europe and almost the same in Africa. Emirates has better connections, an arguably better on-board product, and excellent lounges in Australian cities they service, so why would a passenger choose Qantas product over Emirates internationally? Qatar Airways currently operates a comparatively small number of services to Australia – 10 a week, increasing to 14 in March 2013, and likely to increase further. Qatar also offers services to 32 destinations in Europe, and more than Emirates in Africa. Qatar’s currently serves Melbourne and Perth, not Sydney – originally not being granted permission to fly there. What could a Q-Q relationship deliver? An alliance with Qatar would offer significant advantages in terms of code shared network connections. Qatar offers 14 weekly services to both Singapore and Bangkok, 11 to Hong Kong, and 10 weekly services to both Jakarta and Denpasar, neither of which Emirates serves – but which Qantas does. Although the airline doesn’t service Kuala Lumpur with it’s own metal, Malaysia Airlines’s expected post-Oneworld entry code sharing with Qantas could cover that. 2 – A boutique airline. A boutique product and brand positioning exudes glamour and sophistication, Qatar’s focus is on building a boutique airline, consistently number 1 in the world, rather than a capacity dumping conglomerate. It does not offer passengers multiple service options that detract from Qantas’ limited services. Anyone that has flown Qatar, knows that even in economy class, service is exquisite, and a step above what Emirates now provides. The airline does not offer lounges in Australia, and could use Qantas lounges in all major cities – another way to keep passengers engaged with Qantas product. Qatar services avoid Qantas’ Sydney-centric operation. Passengers hate it, but Qantas continues to consolidate on Sydney. People in the Qantas ivory tower seem unwilling to acknowledge that forcing passengers through an airport they do their best to avoid does not keep them coming back. Qatar’s offer of services to non-curfew airport cities of Melbourne, Perth and potentially Brisbane, which Qantas has neglected for years, could deliver Qantas passengers connections they have been screaming out for, while providing the flexibility to schedule complementary connections. Yes, Emirates also services these cities with multiple daily services, but with relatively few services a week, there is little chance of Qatar cannibalising the Qantas passenger base. Ideally, Qantas would complement these services with their own daily service from Sydney to Doha. Qatar already codeshares with Malaysian Airlines, which will join Oneworld in 2012, sponsored by Qantas. It is known Qatar is in discussions with British Airways and IAG about developing a comprehensive relationship; the carrier recently abruptly cancelled its code sharing arrangements with United, and it is strongly believed Qatar will choose to join Oneworld when it announces a choice of alliance grouping later in 2012. Qatar potentially possesses relationships that Emirates can not offer, has shown no interest in developing, and which would avoid setting in motion a potentially destructive breakup of Oneworld, should Qantas partner with Emirates. Qatar has never directly stated it is against equity partnerships, similar to those in which Etihad has engaged. Qantas is known to be lukewarm on the equity partnership front, and Emirates has consistently stated publicly that it has no interest in equity. Qantas is in desperate need of innovation, starting with a viable network strategy that complements its shrinking international operation. There is no guarantee that with Emirates’ already dominant presence, Qantas won’t continue to haemorrhage once-loyal passengers it could carry itself to Emirates. But in Qatar, Qantas could find a glamorous partner that might just keep the loyal passengers that remain interested for the few years it would take to innovate its own product.